Perfectly, you will have received all your RSVPs before you start planning your reception seating plan. Unfortunately, it very often happens that wedding guests don’t send their RSVPs on time or wait till the last moment to do so. Unless you want your seating plans to be made in a hurry, you should start planning early on. 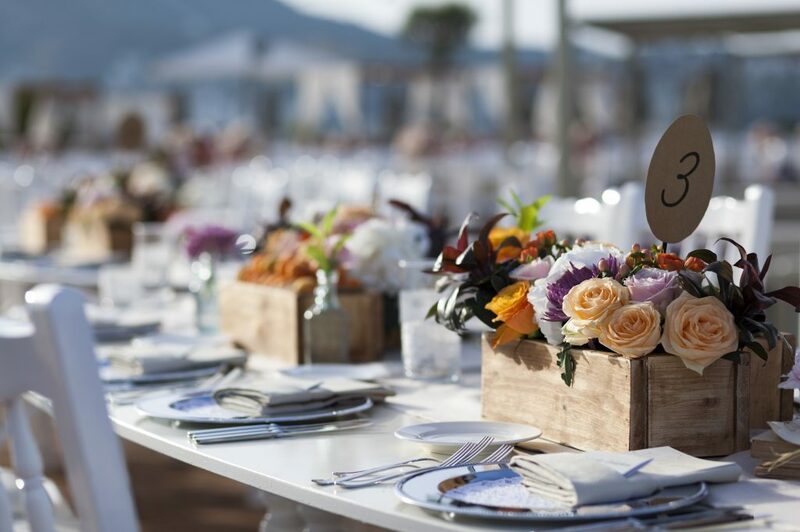 It’s a good idea to assign your guests to tables at first and then make the necessary changes and adjustments after you have received everybody’s RSVPs. Prior to any seating arrangements, you should have a good idea of what the venue is (both in terms of size and in terms of shape). Pick your tables accordingly and your wedding guests will be thankful! We hate to break it to you but there’s nobody else who can do this for you. Only the bride and groom should participate in the seating planning as you are the ones who know your wedding guests best. When breaking your wedding guests in groups at their tables, consider their age and interests rather than their family relations. Don’t overstress about who is seating next to whom – as long as there are no two people who can’t stand each other on the same table, you’ll be fine. You have many options when it comes to the couple’s table. You can go for a sweetheart table (featuring only you and the groom in all your glory) or a family table (with the happy couple plus the two sets of parents). Or you can go for what we call the wedding party table (with bride, groom, bridesmaids, and groomsmen). The choice is really up to you! Our advice is to consider placing the couple’s table towards the center of the floor plan so all wedding guests feel equally close (and important) to the newlyweds. If you are planning a kid-friendly wedding, you have to figure out how to deal with the kids’ table(s) at the reception. It all depends on the number of kids attending your wedding. If you only have a rings’ bearer and a flower girl, it’s perfectly OK to seat them next to their parents. If you have more infant wedding guests, though, consider their age as well. Children under 7 will be better off in a separate room (with child care and babysitters provided) while children from 7 to 12 should be placed at a separate table in the same room as adults (but with their own kid’s menu). For those over 12, you may also have a teenage table, of course, or seat them next to their parents.